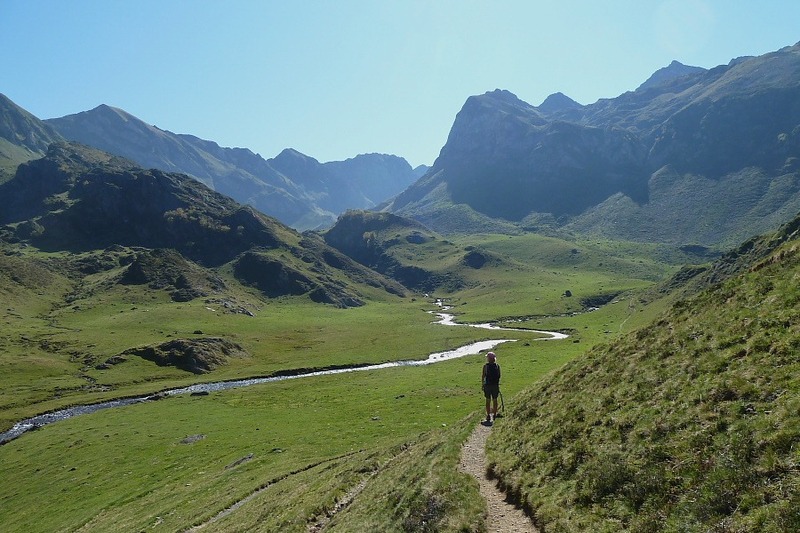 We’ve scored two strikes on walking up various high bits of the Pyrenees so far. A trip or two ago, we decided to strike out for Andorra starting at one of our favourite mountain locations, the barrage de Soulcem. We struck out – failed; we started too late in the day, underestimated the severity of the route, didn’t have enough water and should have left our heavy cameras and lenses at base camp. Just two days ago on this trip, we fell short of success again. We’d set off from an altitude of 1000m/3000ft to “walk” up to le Lac Bleu at 1900m/5800ft. This is a bit like starting from the top of Snowdon and walking up Snowdon again. We had enough water and time but Franco’s left thigh decided to go on strike [Ed: how very French!] about 300m/1000ft from the summit. I think Franco was suffering from his winter of inactivity. Blast! Discretion being the better part of valour, especially in serious mountains, we returned slowly to base camp. 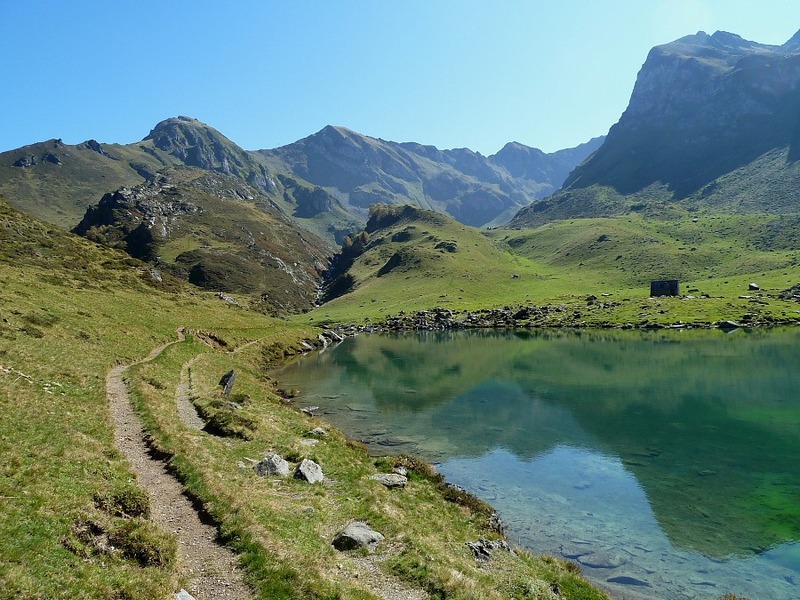 Today, Franco’s left thigh hopefully having recovered from its earlier difficulty, we decided to try for the slightly lower target of Lac d’Ourrec, the ascent of which begins at the same base camp as le Lac Bleu but was supposedly at a mere 1700m/5300ft. 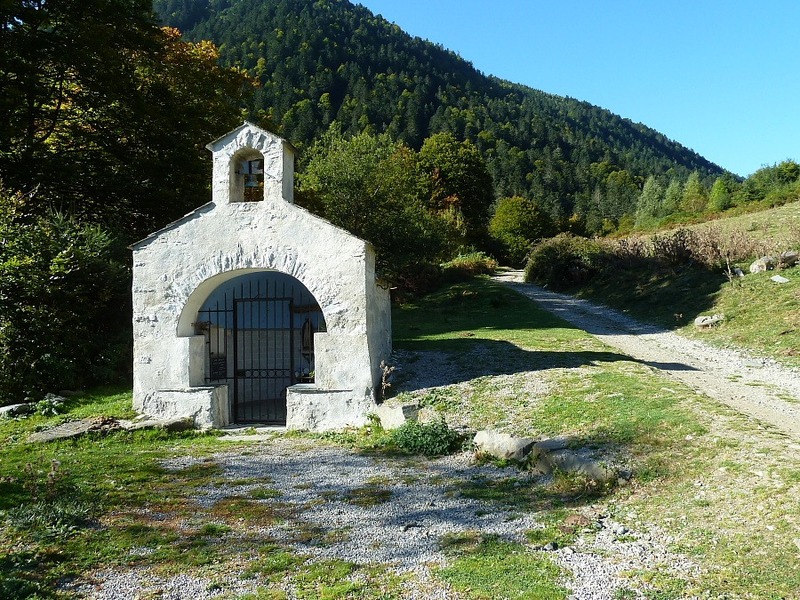 The French time estimate for the route was 2 hours, whereas their Lac Bleu estimate had been 2½hrs. We started earlier to be on the safe side. The day was cooler and all went well. The walk was very irregular in that some sections were quite steep whereas others were a gentle ramble along a relatively level path. We crossed the mountain stream tumbling down the valley twice over strategically placed footbridges. 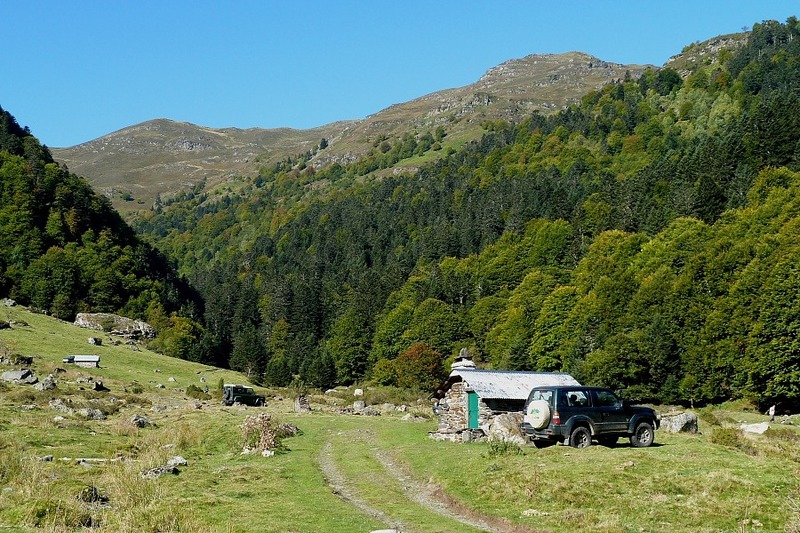 Eventually we came upon a plateau with grazing cows and … about six four-wheel drive vehicles parked beside mountain huts. It’s irrational, I know, but there is something slightly demoralizing about having walked for an hour uphill only to come across motorized vehicles. That was the end of civilization, though, we were now on a path across a steeply wooded slope that hardly had room for two feet, let alone a Toyota Landcruiser. We broke the tree-line and worked our way towards a ridge with noting but blue sky visible beyond. Expectantly, I crested the ridge to see … more grass and another ridge. There’s always another ridge. We continued. We crested the next ridge to be faced by no lake but a small decent to something of a plateau. We continued, thinking we could deduce where the lake might be – across the further ridge before us. Wrong! The path rounded a bluff and there, finally, was the Lac d’Ourrec. We’d made it. I’d been thinking we should stop this mountain walking nonsense in favour of something with a higher success ration. Hmm, that may still be the case!